According to the prosecutor, witnesses confirmed that Milojica killed a Bosniak shepherd during a search of the village of Carakovo, as well as an elderly man while he was searching for gold in a house together with Rivic and another person. At the end we would like to point out that dr. Vujic has openly denied the ver-dicts of international tribunals on war crimes, crimes against humanity and genocide in Bosnia and Herzegovinia. My sincere brotherly appeal today goes to my Muslim brothers all around the world, especially to the Muslim youth in the West to stay calm but vigilant; to remain patient, but detriment to be what they are; to be open to others, but cautious in their talks and walks; to show their empathy to others, but maintain their feelings for themselves and work united toward the peace and security in the world. Police officers cordon off the area as they take security measures around the shooting site after gunmen attacked the two mosques and fired multiple times during Friday prayers in Christchurch, New Zealand on March 15, 2019. At least 49 people were reportedly killed in twin terror attacks targeting mosques in Christchurch, New Zealand, an official said on Friday. BOSNIA AND HERZEGOVINA'S INDEPENDENCE DAY - CELEBRATING 27 YEARS! On this day in 1992, out of the 64 percent of Bosnia and Herzegovina's constituents that voted in the independence referendum, 99.4 percent voted for independence from the Socialist Federal Republic of Yugoslavia. They were executed by the Egyptian authorities after being forced to confess to killing under torture and electrocution, as they declared publicly before the very court that sentenced them. “The Prosecution of Bosnia and Herzegovina has no doubt that it will prove that Tomanic committed the crime as written in the first part of the indictment,” said prosecutor Seid Marusic. 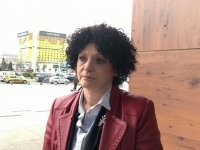 Marusic also said the prosecution intended to prove that Tomanic committed the crime within a widespread and systematic attack by the Bosnian Serb Army targeting the non-Serb population in the Zvornik area. For over a decade, ACBH has been the most effective U.S. non-governmental organization promoting BiH and the interests and needs of Bosnian Americans.